Healthcare sector innovators from Swindon can test out their ideas in a four-day programme hosted by SETsquared – the world’s number one university business incubator – and the South West Academic Health Science Network (SW AHSN) next month. 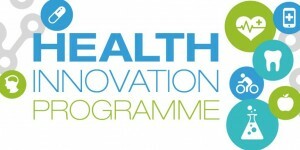 The Health Innovation Programme (HIP), which is free to companies that meet the eligibility criteria, is a comprehensive business support scheme designed for healthcare and life science businesses at various stages of growth. It offers expert-led workshops that help business owners polish their proposition, write a compelling business plan, navigate the NHS landscape and find funding sources. Since HIP’s launch in 2014, more than 100 healthcare entrepreneurs have taken part, many going on to launch successful businesses that are making a real difference to patients. The latest event takes place in Exeter on October 30 and 31 on November 7 and 8. HIP alumnus Laurence Pearce, CEO and co-founder of Southampton-based Xim, which makes an app that measures patient vital signs in 60 seconds using just a smartphone’s camera, said HIP had proved invaluable. “It was a privilege to be locked away in a room for four days to concentrate on our business model, he said. The next HIP event takes place at The Jockey Club at Exeter Racecourse. To find out more and apply for a fully funded place, visit: http://setsquared.co.uk/start-support/support-healthcare-innovators/south-west-academic-health-science-network. The deadline for applications is September 24. SETsquared is backed by the universities of Bath, Bristol, Exeter, Southampton and Surrey.